Tired of tying shoelaces in the middle of way? Wanna slip on and go when you’re in a rush in the morning? With No-tie Elastic Shoelaces, NO Bows, NO Tying!! Turn Your Shoes into Slip-ons - Stretchy silicone allows for a flexible fit, providing a comfortable fit for any size footwear. Easy to Install and Waterproof - Easy to install these waterproof shoelaces which don't get wet in the rain or snow and are easy to clean. 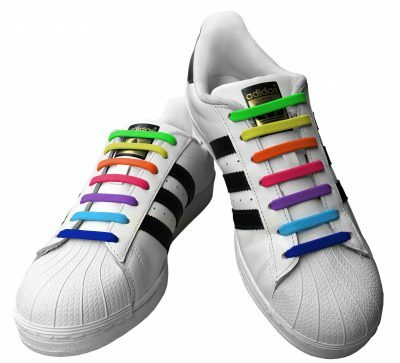 Fun Colorful Shoelaces - Multi-color to choose to replace your regular laces and add fun, functional and fashionable addition to your footwear! 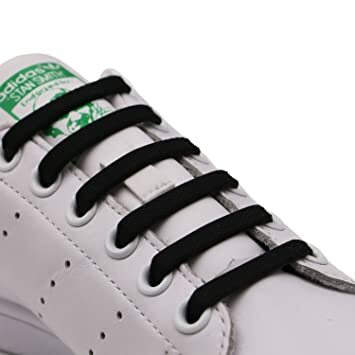 Great for Anyone- Especially perfect for kids, elderly, athletes or someone having a hard time keeping his shoe laces tied. Used for sneakers, board shoes, casual shoes and so on.